Searching for a Slideshow code to embed on your website? 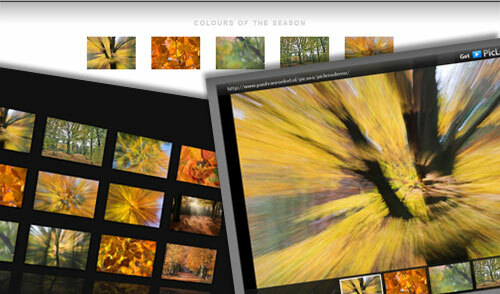 here is the best Simple, Stylish and reliable Slideshow For your websites. 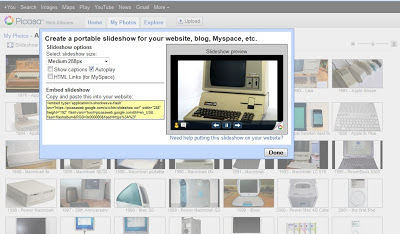 Picasa slideshow is the simple, stylish slideshow which can be created very easily by just uploading your pictures to your picasa account and get a slideshow embed code for your website. 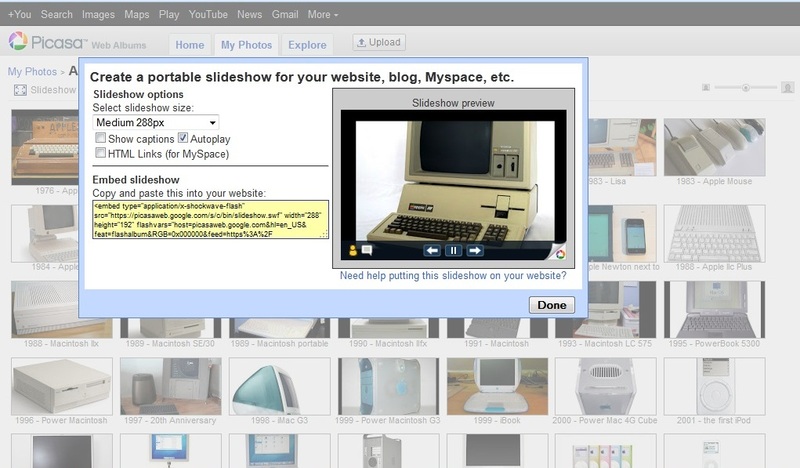 How To Create Your Slideshow With Picasa? Now go to www.picasaweb.com create your album and upload your photos which should be appear in slideshow or you can also create a slideshow which includes all your photos of different albums. 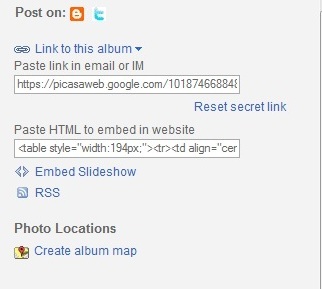 you will see option "link to this album" on right side click on it you will get the embed code for your website. If you want to customize your slideshow just click on the "Embed Slideshow" option (see in above image) you will see the below screen. Now you can customize your slideshow, you will have the options like slideshow size, show captions, Autoplay, HTML Links (for My Space).Copy your embed code and put it in your website. Picasa is the best simple and stylish slideshow which can be created and customize very easily, so guys if you are searching for a slideshow for your website its better to go for a picasa slideshow its awesome...!! !